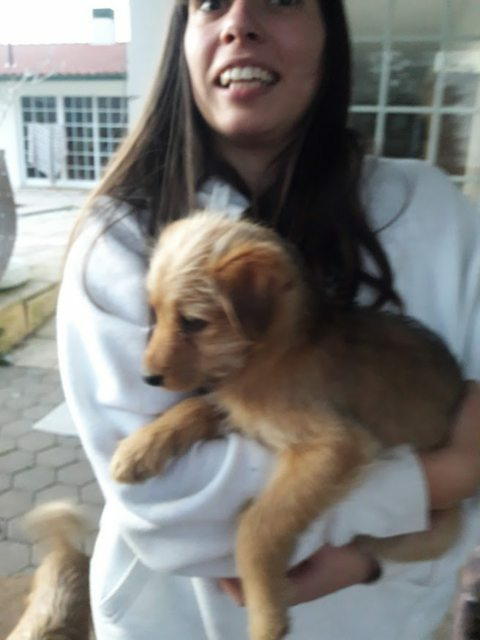 Aladdin and Jasmine is a 12 week old male and female Terrier Cross. 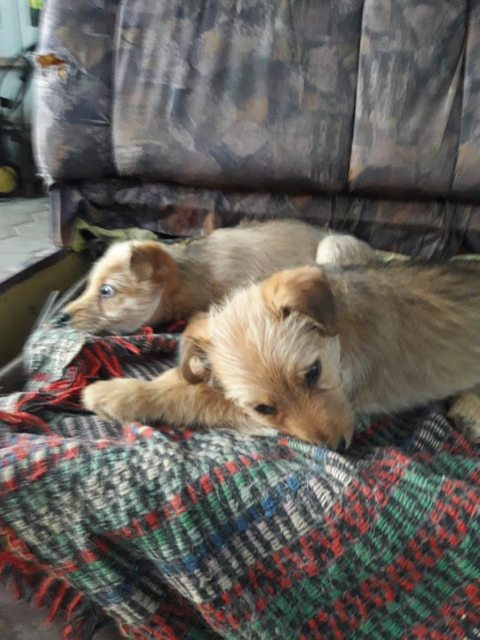 Beautiful fawn and black coloured male and female puppies with a long shaggy coat, who will grow to small/medium size dogs approximately 10 kg in weight. Aladdin and Jasmin are the cutest puppies with a lovely temperament. They love children and are okay with cats and other dogs. They can be homed separately. 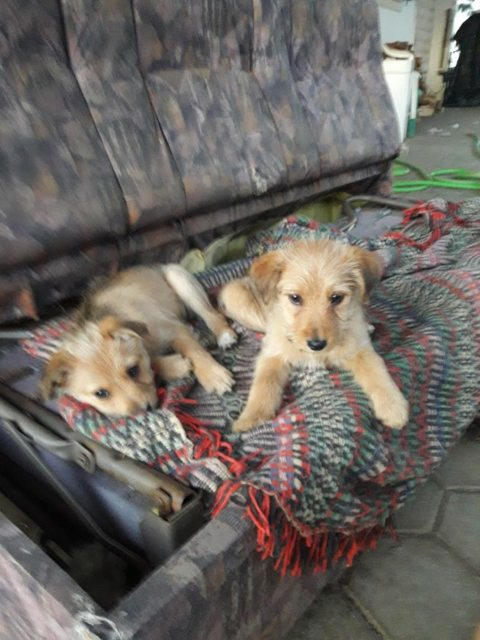 Aladdin and Jasmin were found abandoned in Portugal and taken to temporary foster. They are currently living with 2 other dogs and they all get along fine together. They have been introduced to the family cat but do not share the same space. Their reaction was of indifference. They are very friendly and unperturbed by strangers. They are affectionate and love to be cuddled. Microchipped, Pet Passport, FREE 4 weeks Pet Insurance to be activated from the link on our website. Any known health issues – The little boy has a small hernia. We will take advice from the vet as to whether this should be repaired now or when he is sterilised.